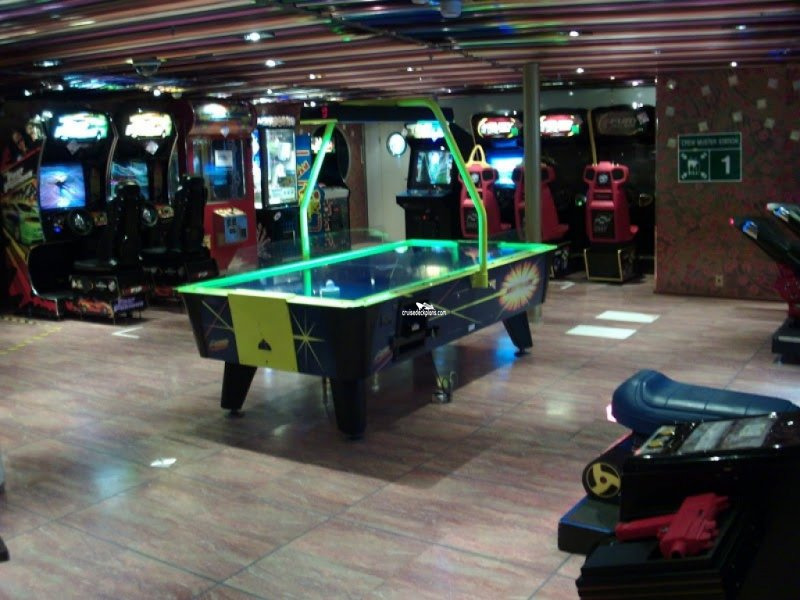 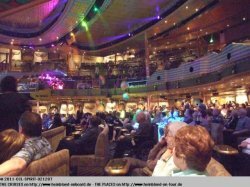 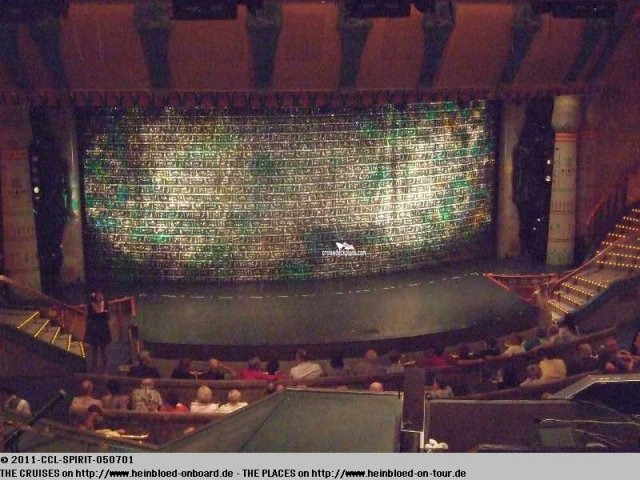 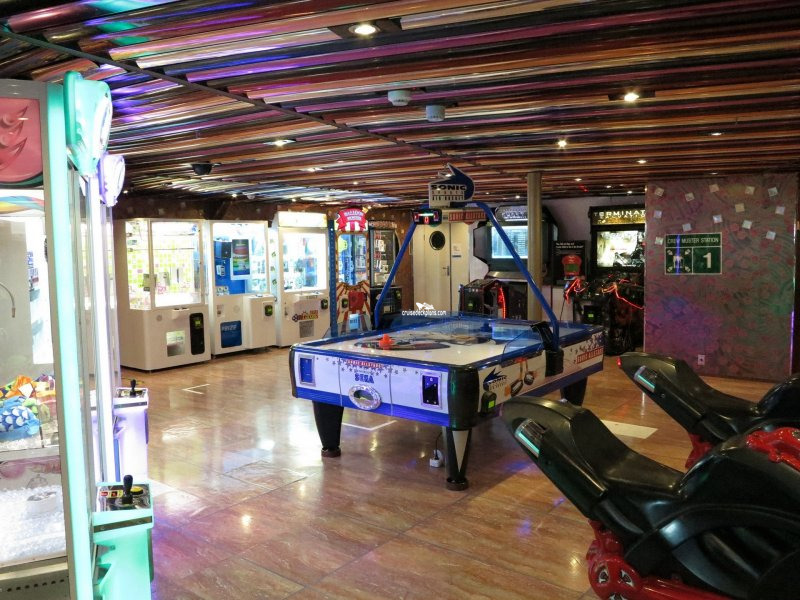 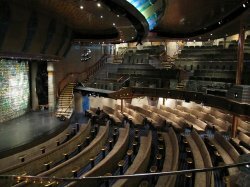 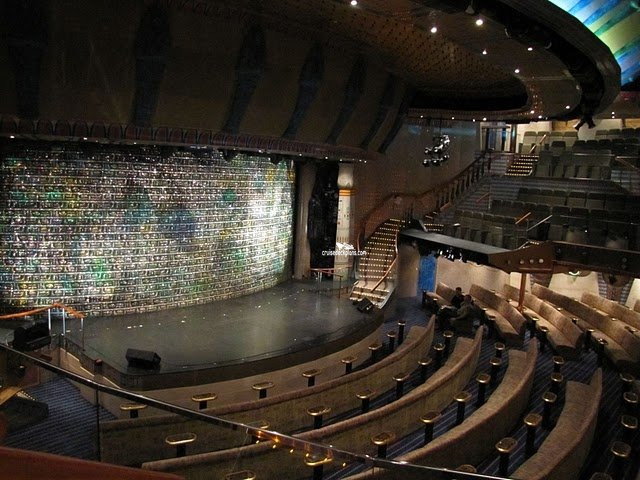 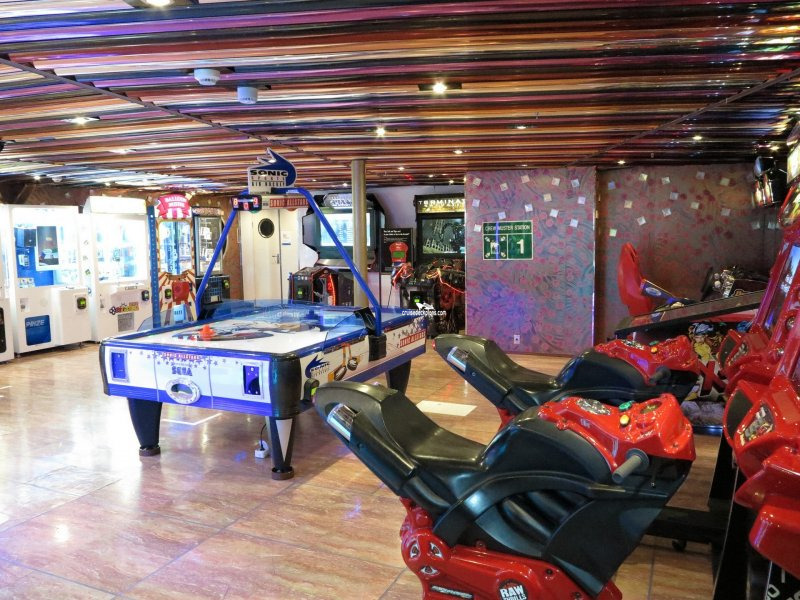 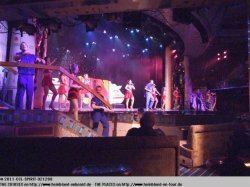 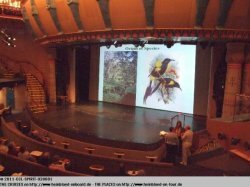 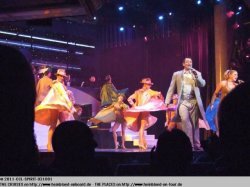 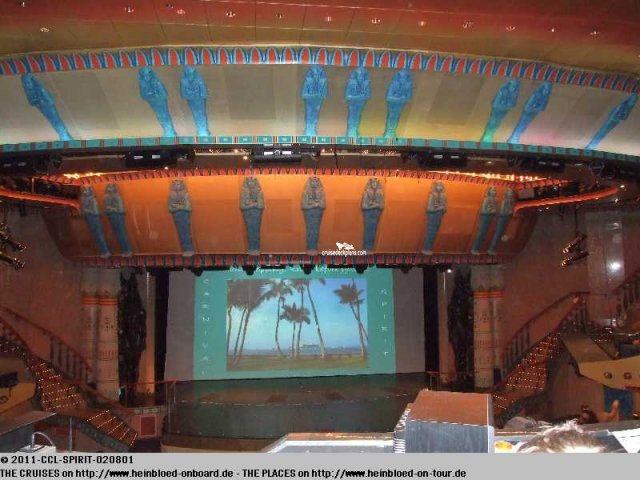 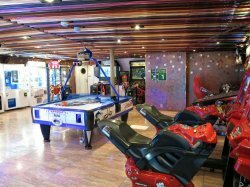 The ship's main stage productions take place here featuring dancers, musicians and performers; also used to host, amongst other things, audience participaton game shows such as bingo. 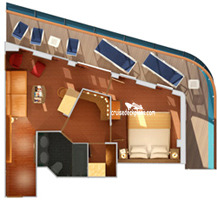 * French door inside cabins have a two french style full glass doors that open into the cabin. 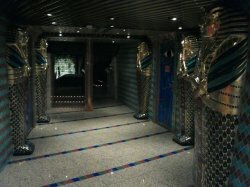 The doors can be heavy to open. 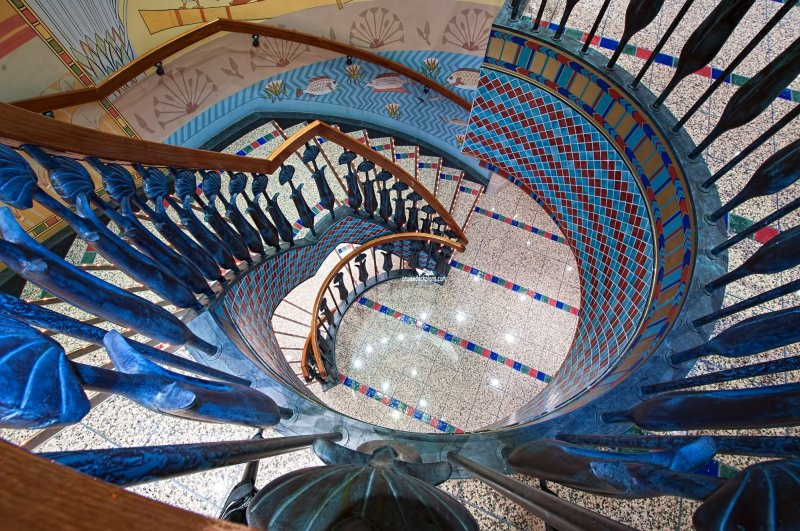 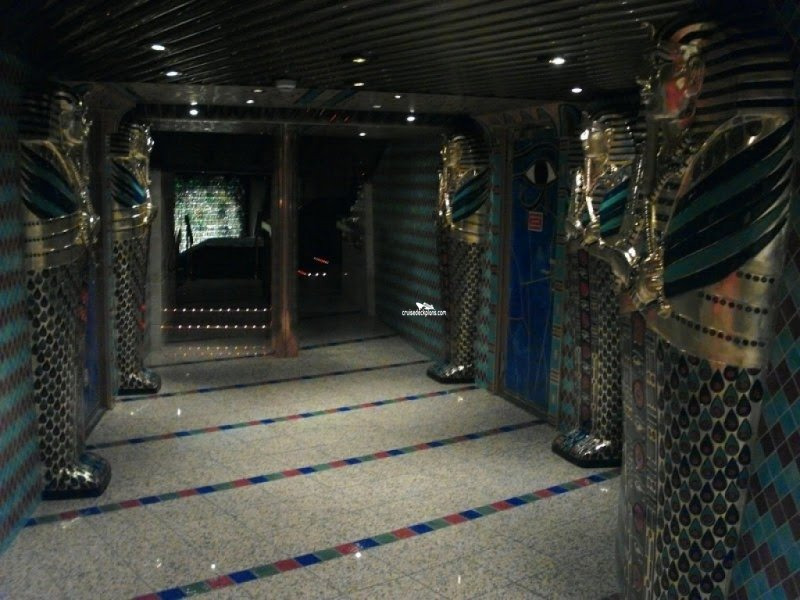 There is a railing right outside the door and the view is normally obstructed by life boats. 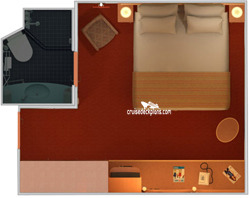 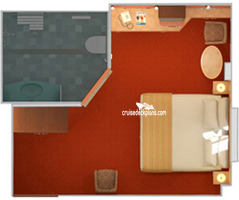 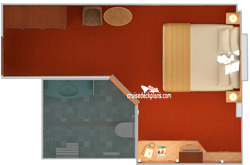 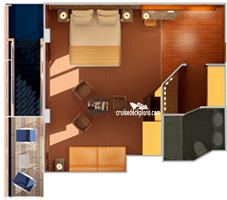 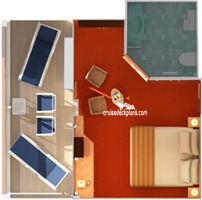 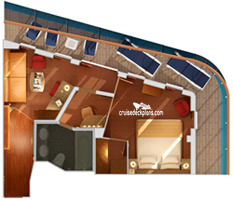 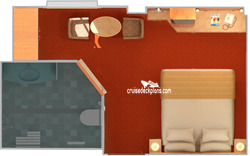 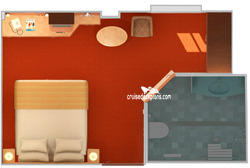 * Junior Suite cabins 4226 and 4235 have small 20 foot balconies. 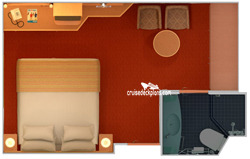 There is also a window in the cabin that looks out on a staircase from deck 3. 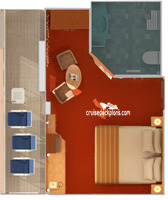 * The gray area around cabin 4202 is a storage closet for the rooms and there can be noise from that area in the early morning hours. 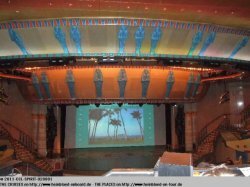 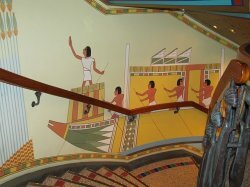 * Balcony cabins on both sides of the ship will see a part of the outside promenade deck when looking straight down from the balcony. 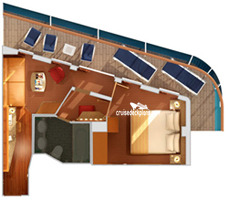 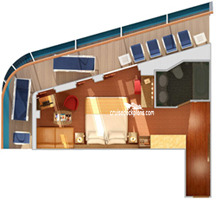 * The aft facing balconies on this deck offer the most privacy of all the aft facing balconies on this ship and can not be viewed by the cabin above.